A great creative team should be engaged in all aspects of your business, from your overall brand, print and digital content marketing pieces, and internal communications right down to your actual product or services. Though businesses often need little convincing to see the ROI for the latest technology, design is still considered difficult to quantify and “isolate as a function.” While it is true that creative cannot be broken down into a measurement of output, there are ways to identify what makes it valuable. We are all consumers. Though we might not consciously know why we like some package designs more than others, chances are we have heard about the impact product packaging plays. Research shows that improving your product is a great first step that compounds your return when combined with good creative. 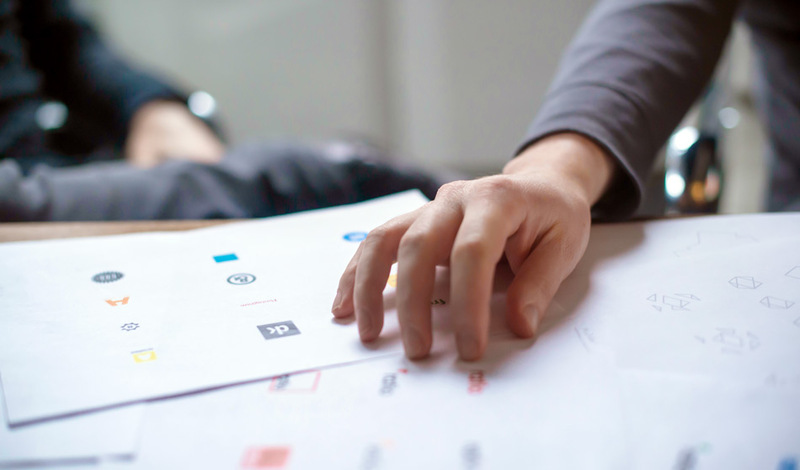 Design goes hand-in-hand with good customer service and a quality product, especially as more customers engage with your company through digital materials. But if you have the best product – that speaks for itself, right? Not anymore. As technology continues to advance and the growth in online shopping expands the global economy, superior products and customer service are no longer enough to separate you from the competition which is fiercer than ever now. Research has shown that those who come top in sales do so through design-driven initiatives. Design Management Institute (DMI) is a membership organization that brings together design thought leaders across industries worldwide. They strive to both define good design and quantify the return on investment. DMI, in conjunction with Motiv Strategies, developed the dmi: Design Value Index to examine the performance outcomes of 15 design-centered, publicly traded US businesses in relation to the S&P 500. 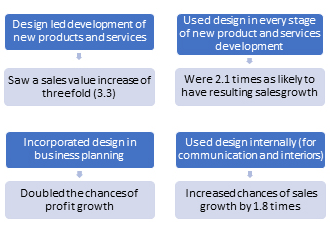 The dmi: Design Value Index quantified the ROI of design in terms of sales, profits, market share growth, and market valuation and determined definitively that those who invest in good creative show substantial advantages over those who do not. In fact, over a period of three years, these companies outperformed the S&P in excess of 200% each year. Marketing experts and business leaders have no doubt that investing in good creative delivers the greatest ROI – design increases profits, company value, and is the surest way to outperform the competition. Investing in creative has tangible, long-term benefits as the importance of design and the strategic advantage it offers is unlikely to go away in the near future. What’s more, potential customers often judge your creative design, and your brand, before they ever experience your product. Design is more than logos and color schemes. Good design is an investment that leads to greater profits. It is a creative solution to your problems that relies on function as much as aesthetics. The science is there. We are hardwired to process images far faster than we can process the written word. Visuals grab our attention. Yet good design isn’t just about aesthetics. It is a direct connection to your customers that helps lead them in the right direction. Your website is your business digitized. Without investing in a creative team that understands how to develop an engaging design as well as a user-friendly interface you cannot expect to see a compelling ROI. Content may be king, but without a good design no one will stick around long enough to read even the most compelling copy. Furthermore, while a good product will keep your customers coming back, engaging and effective design of all your sales elements will help customers remember you and make them more likely to recommend your company to others. OffWhite has spent more than 30 years providing creative solutions to clients in a wide array of industries. We have seen first-hand the value our meticulous design brings to these businesses. Let us map your problems and develop strategic solutions that are backed by research, innovative thinking, and a true understanding of who you are and what your company can do. Contact Bill White or Abby Spung at 800.606.1610 to see how a design-centered approach can set you apart from the competition.